Nightlife Law in Effect on Land: But not on Water. Battery Park City residents suffer from summer party boat noise. Governor Paterson signed into a law a new bill that would enable the State Liquor Authority to crack down on noisy bars, clubs and nightlife operators who violate noise laws. With the growth of bars and nightlife in the Financial District in the past few years caused an increase of noise complaints over crowds spilling out of bars in residential areas. For residents of Battery Park City, there are very seldom occurrences where we would be disrupted by noise from unruly bar crowds — however, party boats on the water is another issue. It is not clear if the bill stipulates and includes remedies for noise complaints stemming from party boats on the Hudson River. Residents of Battery Park City are not strangers to noise complaints from waterways. 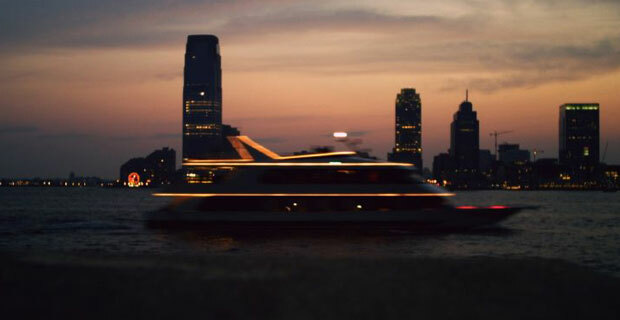 Recently, Goldman Sachs announced an initiative to remedy the noise pollution emanating from commuter ferries at the NY Waterways Ferry terminal. During the summer months, it is not uncommon for residents with apartments facing the Hudson River to hear the noise emanating from party boats. Which often sail on Friday-Sunday nights. Bottom line: it is not enough to consider the needs of residents who live in close proximity of noisy bars on land — but should also expand to party spots on water.